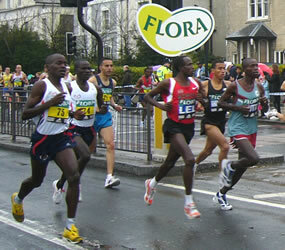 Each year about 30,000 runners run the London Marathon. 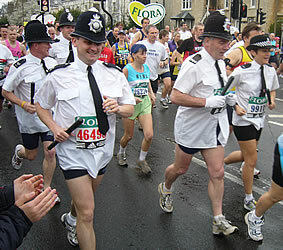 They follow a 26.2 mile course from Greenwich to The Mall (in front of Buckingham Palace). 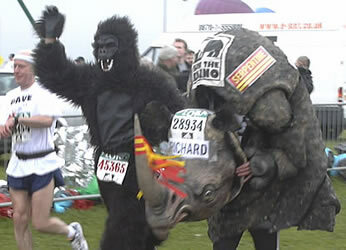 The event attracts serious marathon runners from around the world, but there are also many people who run for fun and to raise money for charity. 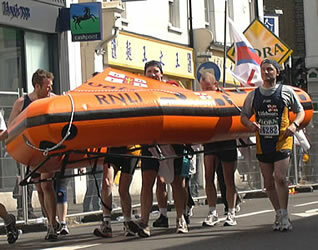 In 2011 this event will take place on Sunday 17 April. 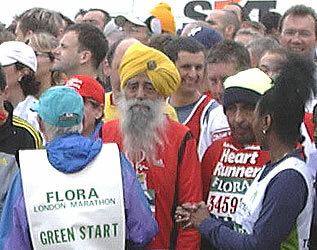 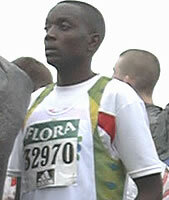 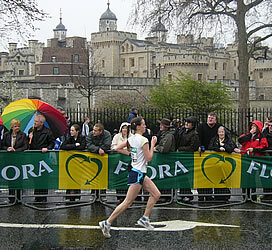 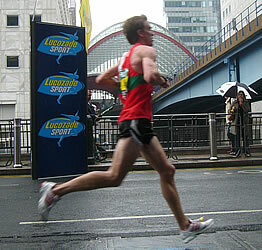 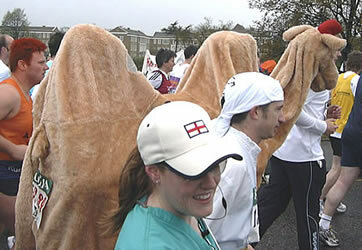 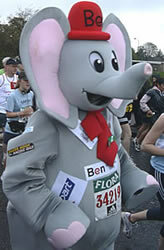 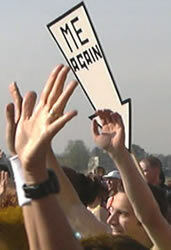 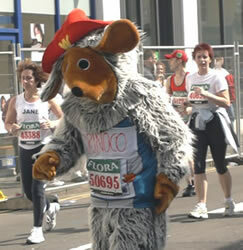 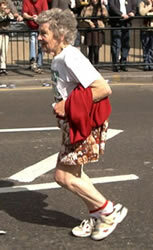 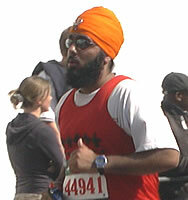 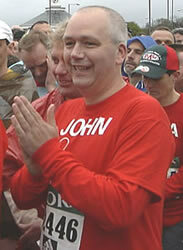 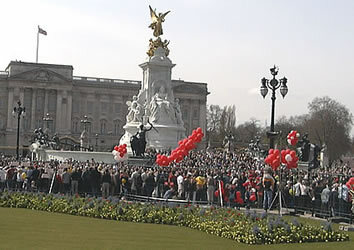 The photos below were taken at the London Marathons in 2003, 2004 and 2006. 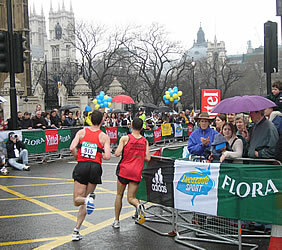 The race starts in Greenwich, continues along the South Bank, crosses Tower Bridge, goes around the Docklands and ends up in West London via the Victoria Embankment. 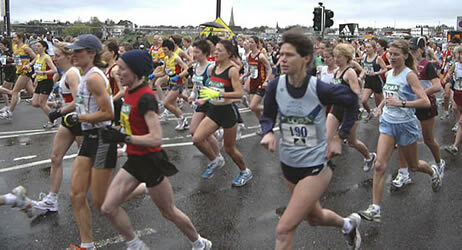 Top athletes compete in the elite ladies and elite men competitions. 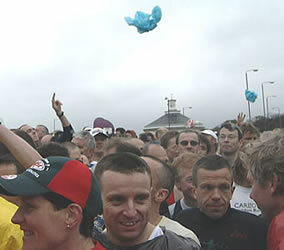 The fastest contestants complete the course in less than 2 hours 30 minutes. 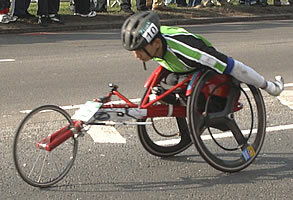 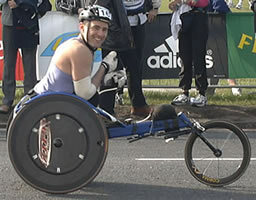 There are two wheelchair races (for men and women) over the same 26.2 mile course. 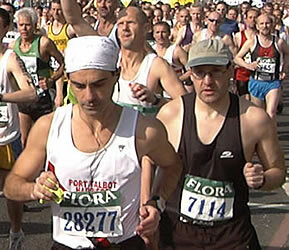 Behind the elite runners are the veterans. 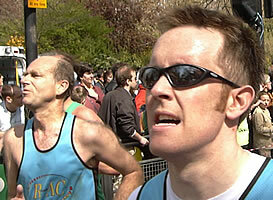 They have run the marathon before and hope to be able to improve on their previous best times. 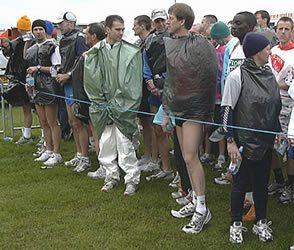 They try to keep warm as they wait for their race to start. 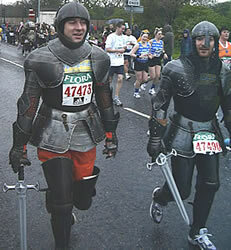 ... and deal with calls of nature! 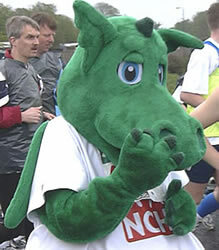 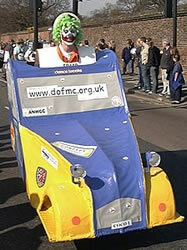 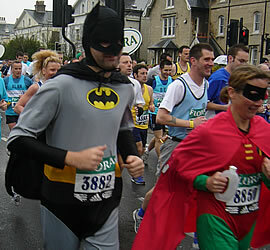 As well as the serious runners, many people take part mainly to raise money for charities. 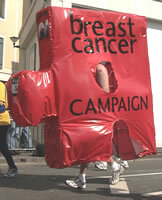 You can help their causes by sponsoring them before the event or by donating money to collectors along the route. 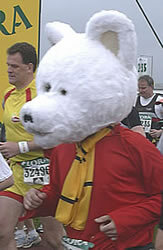 Some charities organise teams of participants.